Moonrise Collective: Music. Yoga. DJ. 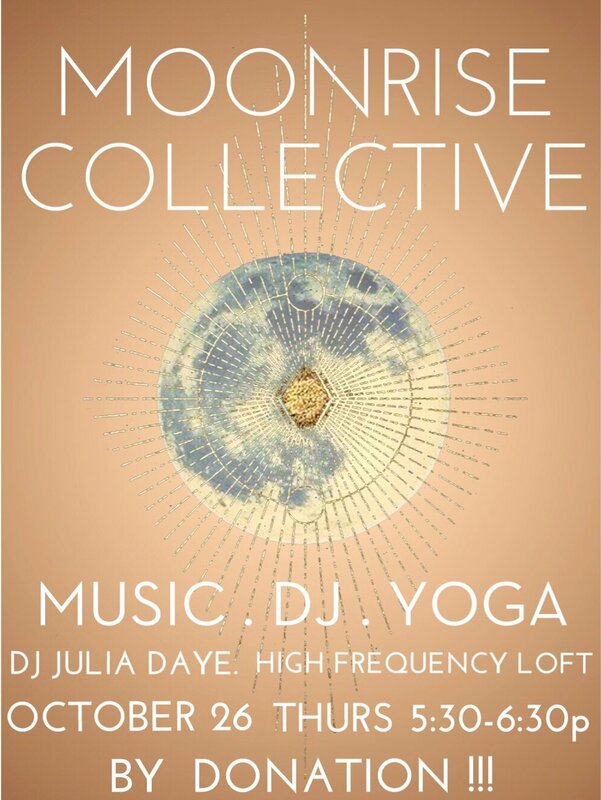 We are hosting another MOONRISE COLLECTIVE event October 26th at the High Frequency Loft for the YOUTH and YOUNG at HEART to join a practice of YOGA along with a DJ set from DJ Julia Daye. Bring comfortable clothes to move in & water. All events are DONATION BASED! !